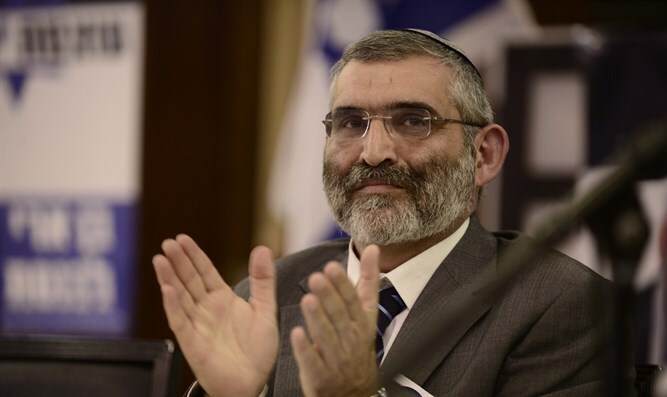 Former MK Dr. Michael Ben-Ari addressed on Thursday the ideas raised by Michal Froman, the daughter-in-law of the late Rabbi Menachem Froman, the rabbi of Tekoa who was known for his peace-seeking meetings with Muslim religious figures, in an interview with Channel 10. Froman, who was injured when she was stabbed by an Arab terrorist in January, participated in a rally outside the Prime Minister's residence organized by the radical leftist organization Women Wage Peace. "There can be no mercy for the wicked," Ben-Ari said. "To have mercy on the wicked is to be cruel (to the righteous). I'm not surprised that Michal Froman decided that she loved the killer who tried to murder her...She felt that he was 'lost,' and that he was unpopular, so he came to kill Jews. He came to kill this silly Michal Froman. But he came to kill Jews just because they were Jews." "Almost a year ago my sister-in-law was stabbed with a twenty centimeter knife. It is a miracle that she survived. Do you also pity that murderer? We do not forget how Rabbi Menachem Froman went to hug that arch-murderer, Hamas Sheikh Ahmed Yassin, who caused the deaths of so many Jews and who, thank G-d, Israel turned to dust." Ben-Ari continued, "Now she is heading a march calling for a political agreement. But they want to wipe us off the map. Not just from Tekoa (where Michal Froman lives), and not just from the land of Israel, but from the face of the earth. This is Islam, and you want to make peace with it? So do me a favor and leave so you will stop putting us in danger with your notions. It isn't kindness you are preaching. It's hypocrisy." Froman also said that after she was stabbed, she realized that "death only goes in one direction. To choose life is to choose to understand how complicated life is here, and while it is of utmost importance to defend life, it is also important to fully understand the hardships, and to find a way to lend a helping hand. Life here, in this land, will be possible only if we stop blaming each other, only if we stop being victims."